Jeremy Begbie is Thomas A. Langford Research Professor in Theology at Duke Divinity School. He is also Senior Member at Wolfson College, Cambridge, and an Affiliated Lecturer in the Faculty of Music at the University of Cambridge. He is Founding Director of Duke Initiatives in Theology and the Arts, one of the main aims of which is to foster theological-artistic links between Duke and Cambridge. He has published extensively, his particular interest being the interplay between the arts and theology, bringing to light the different ways they can illuminate and benefit each other. 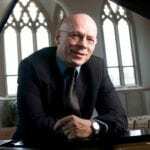 His books include Theology, Music and Time (CUP), Resounding Truth: Christian Wisdom in the World of Music(Baker), and Music, Modernity, and God (OUP). He tours widely as a speaker, specialising in multimedia performance-lectures. 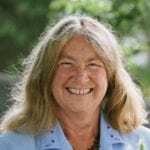 Elaine Storkey is a philosopher, sociologist and theologian who has held university posts at Kings College, London, Stirling, Oxford, Calvin College USA, and the Open University. She co-founded the postgrad course ‘Developing a Christian Mind’ now in its 10th year at Oxford University. A Fellow of Aberystwyth University, former Director of the London Institute for Contemporary Christianity and high table member of Newnham College, Cambridge, she has also lectured in Africa, Asia and Haiti. Her presidency of Tearfund in aid and development spanned 17 years. A broadcaster and author, she has been a passionate advocate for justice and gender issues for 30 years, implementing many changes for women through 28 years on the General Synod of the Church of England. Her most recent book, Scars Across Humanity: Understanding and Overcoming Violence Against Women, was published in November 2015. 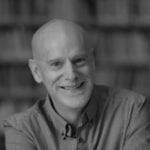 Paul Weston is Director of the Newbigin Centre, Cambridge, lectures in mission studies and homiletics at Ridley Hall, Cambridge and is an affiliated lecturer in the Cambridge University Divinity Faculty. He is a graduate of Cambridge University, and has research degrees from the Council of National Academic Awards (MPhil), and King’s College, London (PhD). 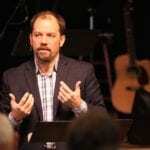 Scot Sherman is the executive director of Newbigin House of Studies, a member of the Newbigin Faculty at Western Theological Seminary in Holland, Michigan, and Teaching Pastor at City Church San Francisco. He oversees the Newbigin Fellowship, a nine-month intensive training program that seeks to provide a theological, spiritual, personal, and relational framework for wise integration of faith, work, and life, and hosts Conversations, a speaker series based in San Francisco. He is a graduate of Westminster Theological Seminary (M.Div. ), Princeton Theological Seminary (Th.M), and the University of Wales (Ph.D). Scot was one of the original pastors of Redeemer Presbyterian Church in Manhattan, planted the Village Church in Greenwich Village, and later served as the Pastor of Intown Community Church in Atlanta. His doctoral dissertation focused on the early ecumenical influence of the British missionary-theologian Lesslie Newbigin, a pioneer in thinking through the challenges facing churches in the contemporary West. Scot lives with his wife, Catherine, and they have four sons. He loves opera, detective fiction, playing the piano, and goes wine tasting as often as possible. James K.A. Smith is professor of philosophy at Calvin College where he holds the Gary & Henrietta Byker Chair in Applied Reformed Theology & Worldview. The award-winning author of Who’s Afraid of Postmodernism? and Desiring the Kingdom, his most recent books include Imagining the Kingdom(2013), Discipleship in the Present Tense (2013), Who’s Afraid of Relativism? (2014), and How (Not) To Be Secular: Reading Charles Taylor (2014). His next book, You Are What You Love: The Spiritual Power of Habit, will be published in March 2016.